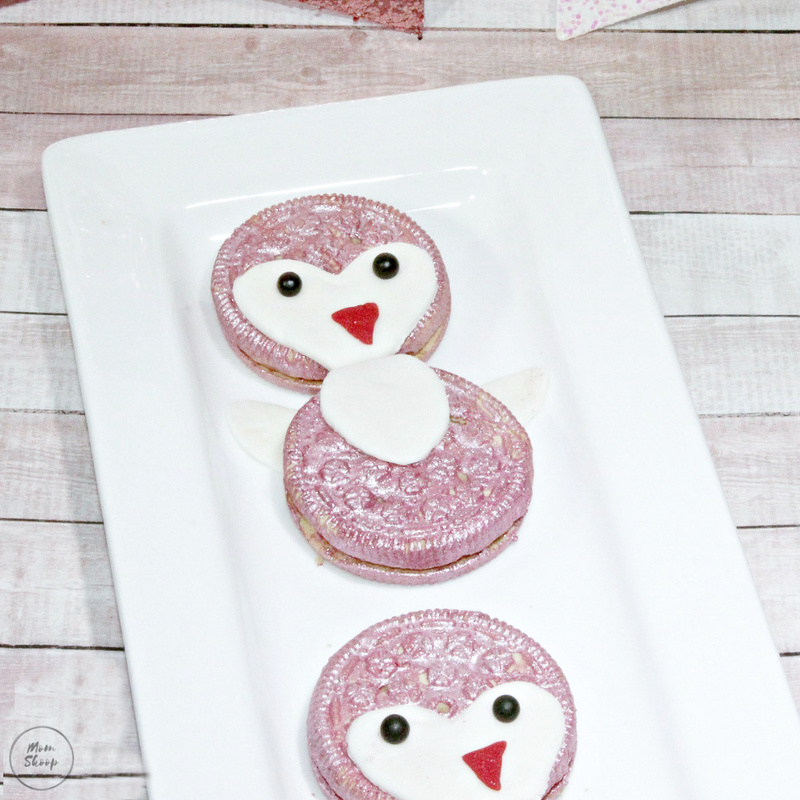 A Penguin dessert that is perfect for Valentine’s Day is our recipe for Penguin Heart Cookies. They are fun to make, tasty, and easy to make! 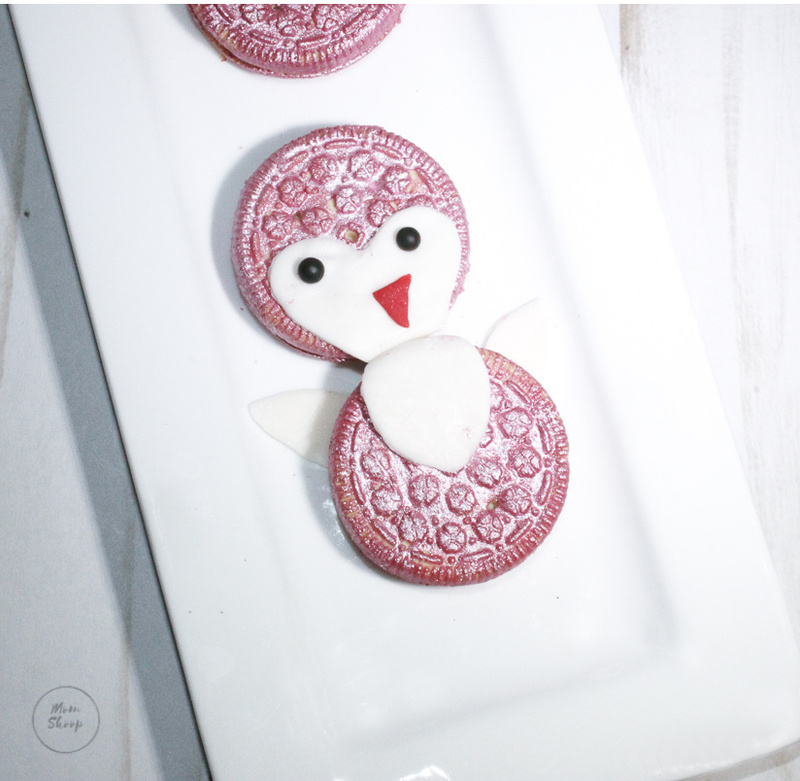 Recently when I was searching the internet for some Penguin cookie inspiration, I came across the cutest Penguin cookies ever on Michaels Art & Crafts site! Once I saw them I knew I had to make them for my kids! I mean there is no cuter animal then a penguin! At least I think so! 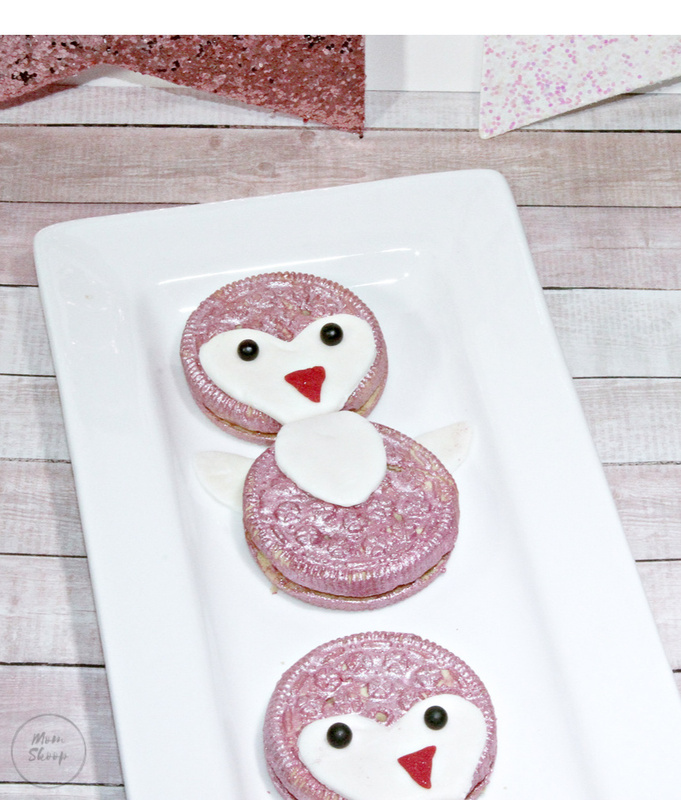 Add a Pink Penguin with a heart face for Valentines then it is a win-win! Oh and let’s not forget that these are made with Oreos! They are another perfect Oreo Dessert! These cookies are simple to put together! 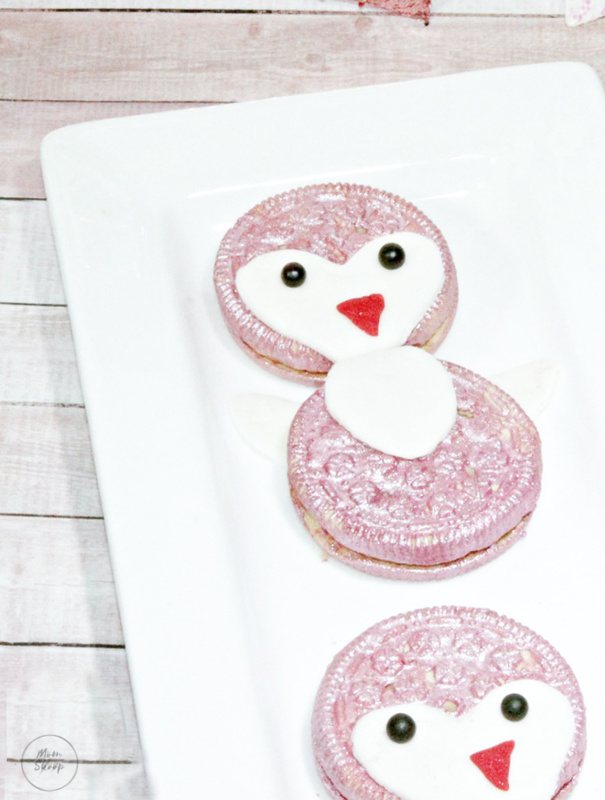 This penguin dessert recipe is very kid friendly and it would be a great way to do with your kids! 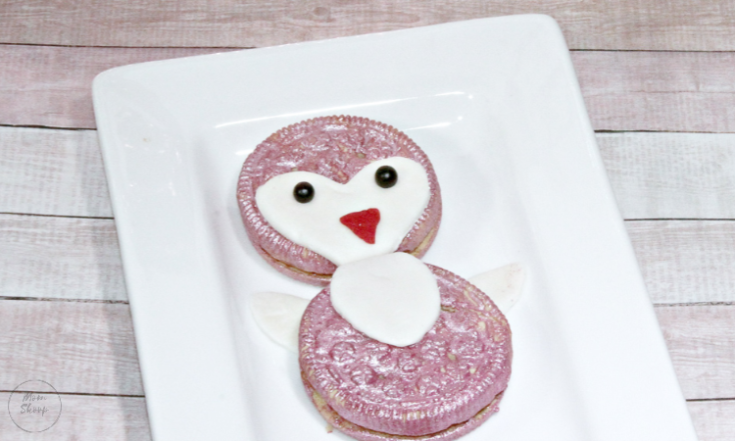 Looking for more cute Penguin Dessert ideas? 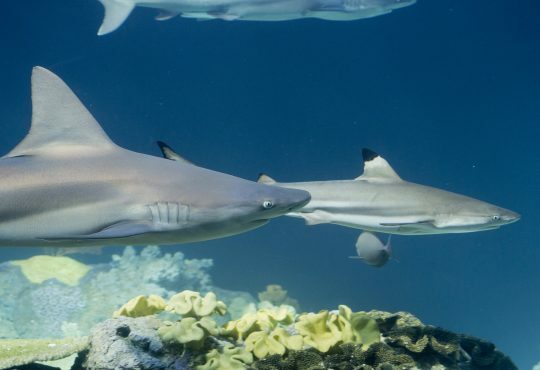 Check out these yummy suggestions! 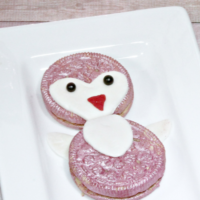 Ever wondered How to Make Penguin Heart Cookies? 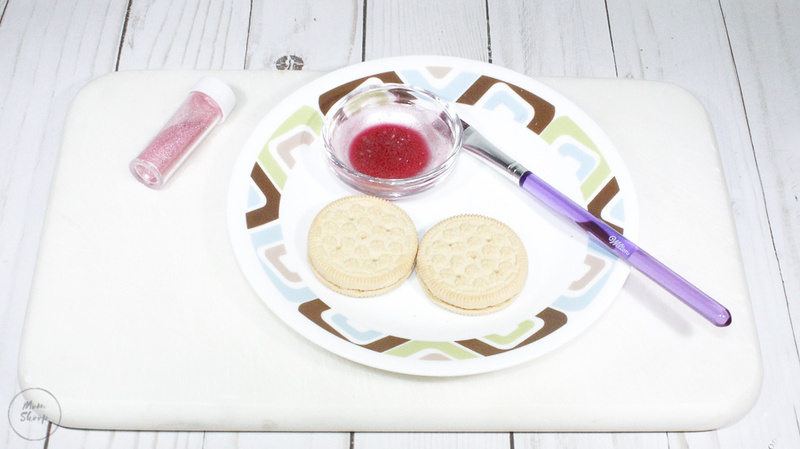 Here is an easy recipe that I think your family will love! *Pro-tip: Definitely invest in a package of food safe disposable gloves! 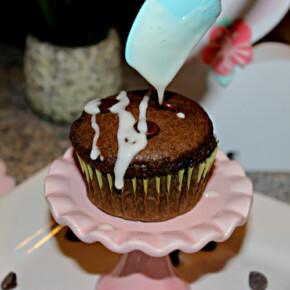 These work perfectly when you are working with fondant! You will want to paint the cookies with the dust first. That way they can dry completely while you are cutting out the fondant pieces. To make the dust “paint”, mix 1/8 tsp water with 1/4 tsp of dust. You can add just a touch more water if you would like it to be watered down a tad more. Stir it together with one of the brushes. 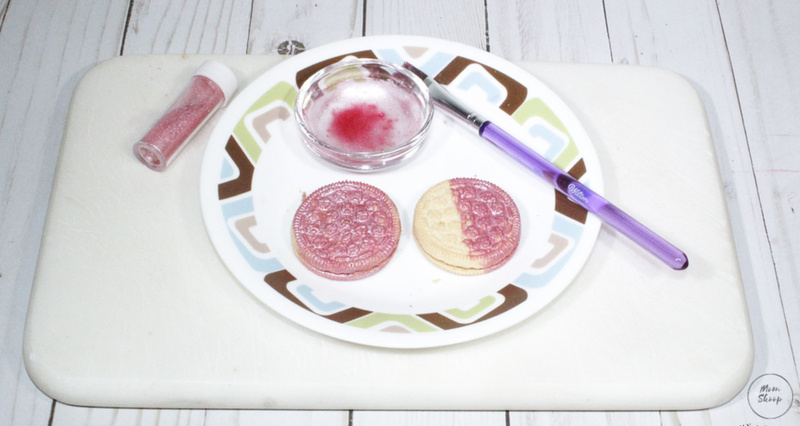 Using a smaller brush, paint each cookie. This mixture will paint two cookies or three if you water the mix down. While the cookies are drying, roll out a handful of the red fondant. 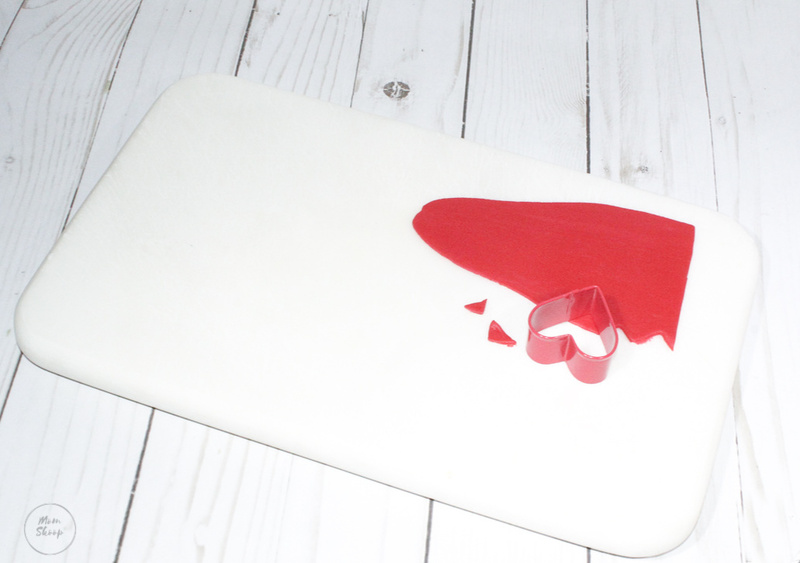 Use the tip of the heart cookie cutter to cut out a small beak. 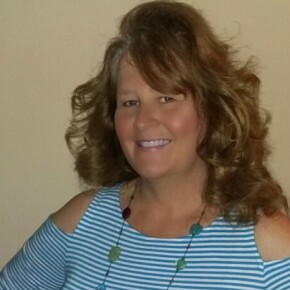 You may want to use a pair of kitchen scissors to cut the beak smaller. Next roll out a handful of the white fondant. 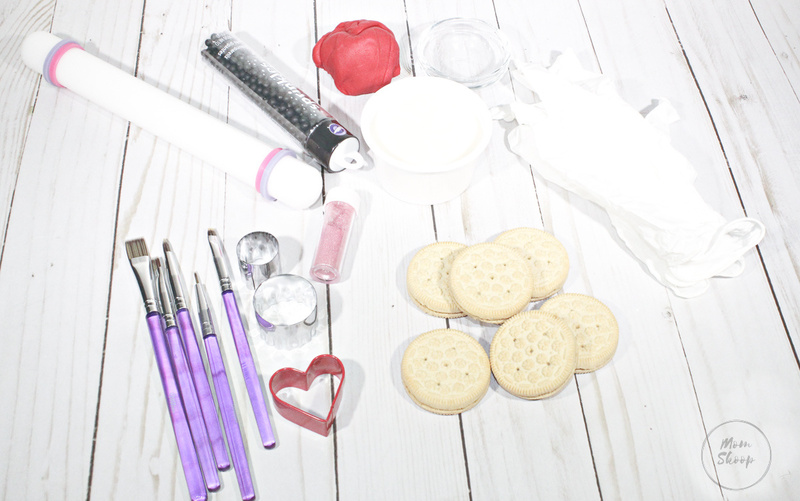 Using the heart cookie cutter, cut out a heart of each face you will need. To make the white breast, use a small circle cook cutter. Cut out a circle, then use the same cookie cutter and cut half of the circle. 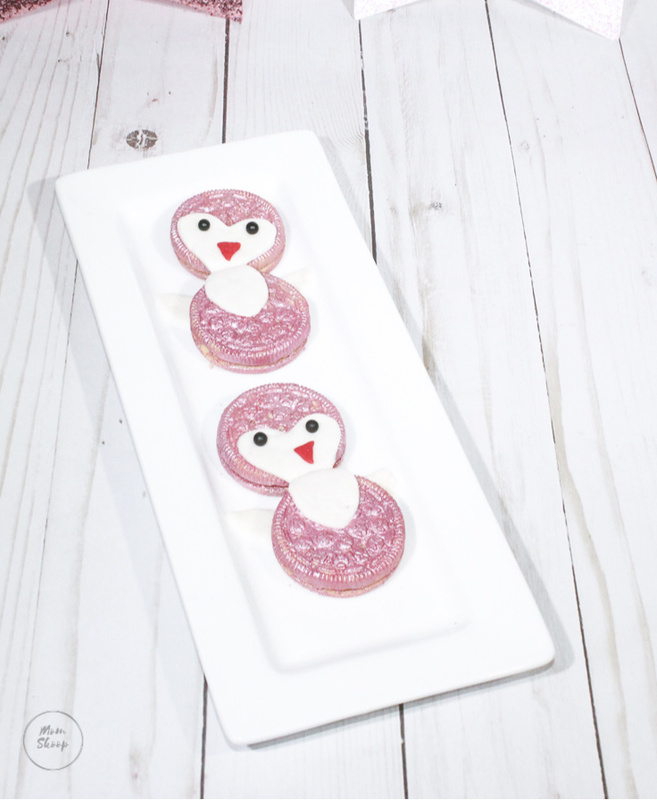 To make the penguins arms, use the same cookie cutter and cut out two ovals for each set of arms you will need. 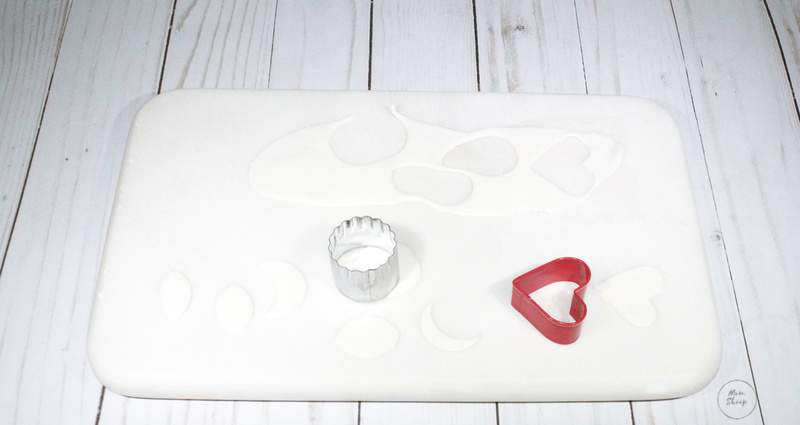 While the fondant is still wet, attach the heart to one of the cookies. Then line up the bottom of the heart along the edge of the cookie. Attached 2 black sprinkles for the eyes then add on the red beak. When you attach the white breast to the other cookie, leave a little bit of the fondant over the edge. That will allow the fondant to stick together. Then attach the arms to the back of the cookie. *Pro-tip: If the fondant will not stick together, use one of the of small brushes and dab just a bit of water to one piece of the fondant. Gently press the two pieces of fondant together. If the arms won’t stick to the back, just dab a bit of light corn syrup to the cookie then attach the arms. And there you go! 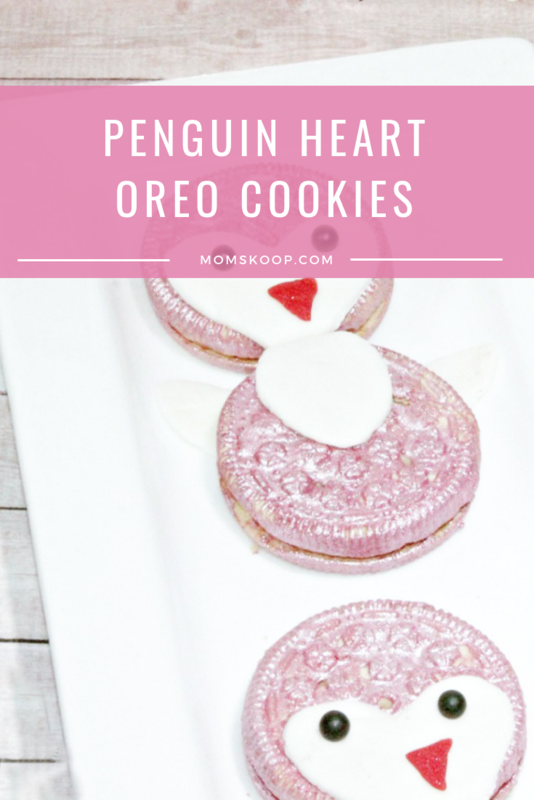 The cutest Penguin Heart Cookies ever!